Everyone at some point in their lives has been at the mercy of a bad business leader. Bad leaders don't start out with the intention of being bad, the stresses of the role and poor organisation often causes them to lose sight of their roles. Fusion Affinities offer their advice to help leaders avoid becoming 'bad'. Direct marketing company, Fusion Affinities believes that bad leadership can often be the result of a leader losing sight of what they set out to achieve. The challenges that leaders face such as staffing shortages and poor results often lead to stress which has a negative impact on the leader's skills. Stress tends to make people think less rationally and handle situations in less productive ways. These challenges can often cause a leader to lose the passion and drive for the industry that they once had which again has a negative impact on leadership. To help leaders avoid becoming 'bad' Fusion Affinities has put together a list of things a leader should not do. Yelling Employees don't feel respected or valued when they are yelled at and although they may initially respond to a raised voice. This will eventually lead to loss of interest and lack of motivation. Strong communication is the key, points out Fusion Affinities. Ruling with an iron fist To get respect from employees a leader must accept that they aren't right about everything and must be open to other people's opinions otherwise they will squash productivity. No one will know what to do when the boss isn't around because only he/she has the right answers. Fusion Affinities believes that ruling with a softer touch and listening to the opinions of others will mean everyone will excel. Not explaining properly Asking employees to do something without explaining why or how will not get good results. Explaining something may take extra time but it will improve the end result as the employee will understand more and probably like the idea as much as the leader does. Talking constantly Constantly feeding employees information and not allowing them to give feedback is another example of bad communication and another way to squash productivity. To resolve this Fusion Affinities say a leader must be clear about the goals the team have been set, explain the why, and then wait to make sure everyone understands. 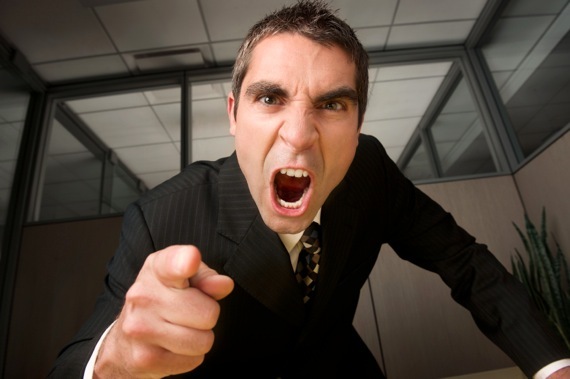 Bullying The one trait all bad leaders share is a domineering, aggressive attitude. By trampling on people and charging ahead the leader will lose sight of what employees actually need and what projects really matter. Instead of having an attitude that everyone must do as they say because they are in charge, leaders should accept mutual responsibility and encourage everyone to work towards the same goal. Discouraging Creativity Leaders must realise they are not the only ones with ingenuity. Other people may also have brilliant ideas so it is best to encourage that kind of thinking and reward it. Turning a blind eye Ignoring problems is not good leadership practice. Just focusing on the big issues is also not a good idea; any problem no matter how big or small must be fixed. This will allow for a smoother working environment and earn the respect of employees. Fusion Affinities is an outsourced sales and direct marketing firm based in Bristol. The firm specialise in a personalised form of marketing which involves connecting with consumers on a face-to-face basis. This helps to create long lasting and personal bonds between brand and consumer, which in turn increases customer acquisition, brand loyalty and brand awareness. Fusion Affinities run a Business Development Program in order to develop strong future leaders. The program aims to teach potential leaders skills such as, picking and motivating a team, decision making and sales techniques.